Expanded learning time (ELT)—adding time to the school day, week or year—is a relatively new approach to expanding learning opportunities. Like quality afterschool, before-school and summer learning programs, there are essential principles of these programs that increase the likelihood of success. At a minimum, expanded learning time programs should go beyond simply adding additional time to the school day and incorporate successful afterschool practices: engaging students in their own education by providing hands-on, experiential learning opportunities through community partnerships that build on—but do not replicate—learning that happens during the school day. The Afterschool Alliance has created a publication to define and outline the eight principles of afterschool best practices key to developing successful expanded learning programs. Below, we’ve also compiled a variety of additional perspectives, evaluations and analysis from our own resources as well as from outside sources to provide you with a comprehensive guide to this model of expanded learning. This entry was posted in Uncategorized and tagged Afterschool, Dina's posts, nonprofit, Trends in Education on February 15, 2012 by arts2grow. We spend a lot of time in the arts talking about “thinking outside the box.” It’s what we do, and it’s our catchphrase, more so than in any other profession. When businessmen and politicians talk about this type of thinking, we tend to scoff at them – after all, we are the real creative thinkers, right? But sometimes we create a box within a box in our own thinking. And while we gladly and proudly venture outside of our inner box, finding new ways to present our own artistic work, we sometimes get trapped inside that outer box. 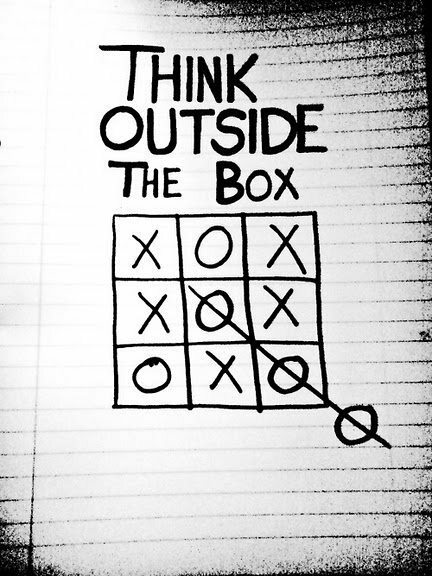 It’s time to do more “outside the box surrounding the box” thinking. What does that mean? Well, look at it this way – while we tend to be innovative within our own discipline, sometimes we hesitate to venture beyond our comfort zone. I’m talking about collaboration – specifically, collaboration with other art forms. It’s a little frightening to consider at first. I remember a very tense lunch over the summer with a director who wanted to be in control of every element of a production that I was involved in – so much so that there was a flow chart produced at the table that show the director as the “CEO” of the show. The give and take of control over a production, be it musical theater, ballet, opera, or a collaborative exhibition, is a frightening concept. When we’ve worked so hard on our end of the deal, it’s difficult to let go even a little and relinquish just a small amount of artistic control to another. But this is the beauty of collaboration. As artists, we know that there is no black and white – just fields of grey. This entry was posted in Uncategorized and tagged arts education, Dina's posts, Trends in Education on November 3, 2011 by arts2grow.